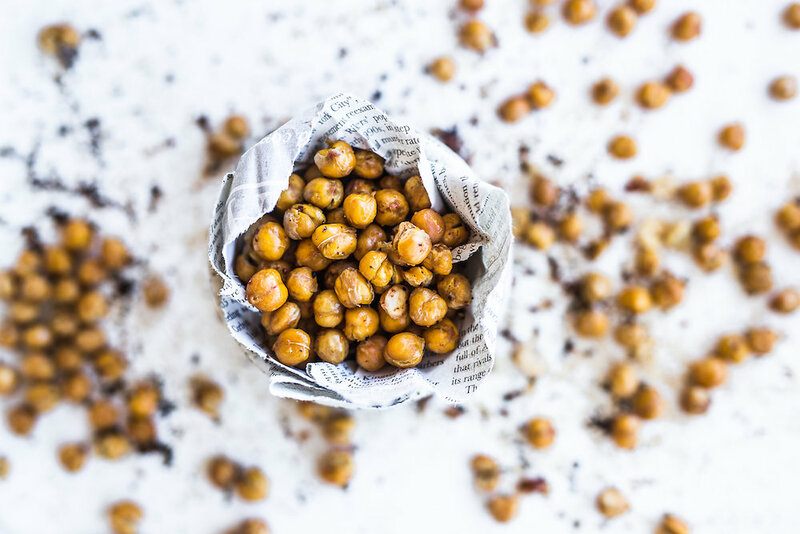 Rinse and pat the chickpeas dry. Spread them out onto a baking tray and spray generously with oil. 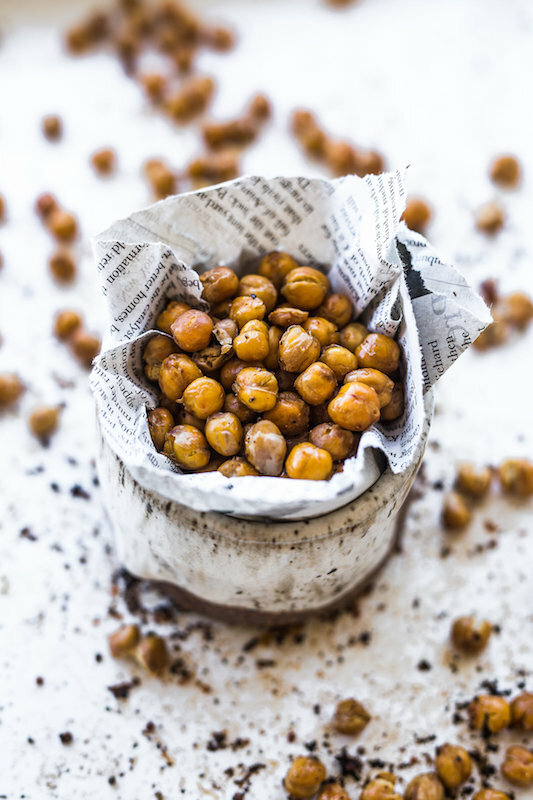 Sprinkle over the paprika and salt, the shake the tin to roll the chickpeas and coat well. Roast in the oven for 30-40 minutes, stirring every 10 mins, until golden brown and allow to cool before storing in a glass jar. Top: substitute the paprika with any of their favourite spices. Try a sweet option with cinnamon powder!